I do apologise for my recent absence, unfortunately there was a death in the family, so i've taken a little time away from everything but i'll be getting back on track now. 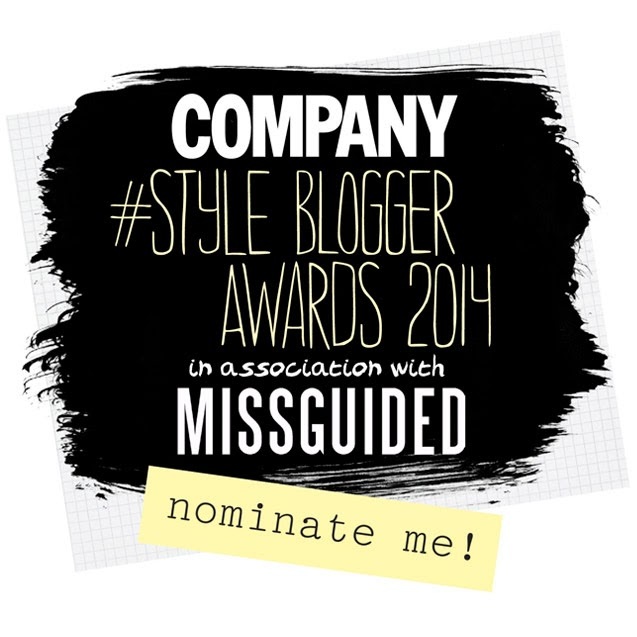 As you may know, the Company Style Blogger awards are officially open for nominations and I figured, why not go for it? I have so much fun sharing my personal style on here and nothing feels better than seeing that people are actually reading, so it would be so amazing to be acknowledged by Company! So yep, please nominate me, I will love you all forever and ever and continue to post until i'm totally old and wrinkly! best wishes on the awards/nominations.